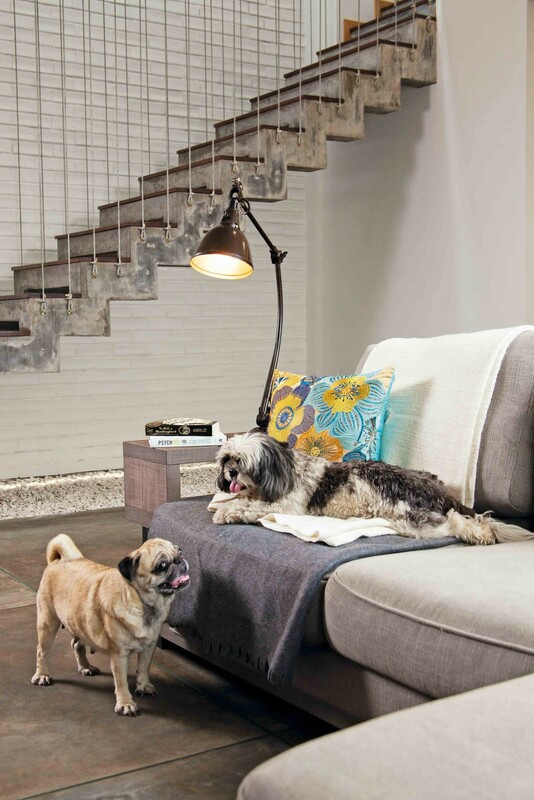 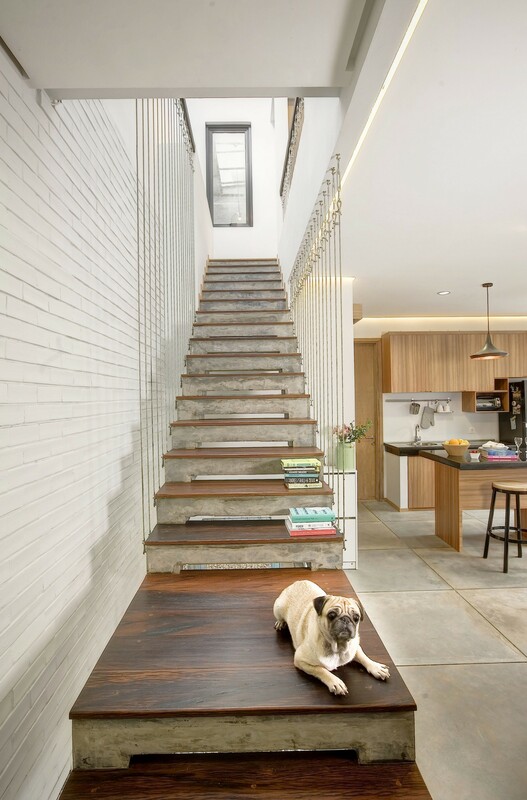 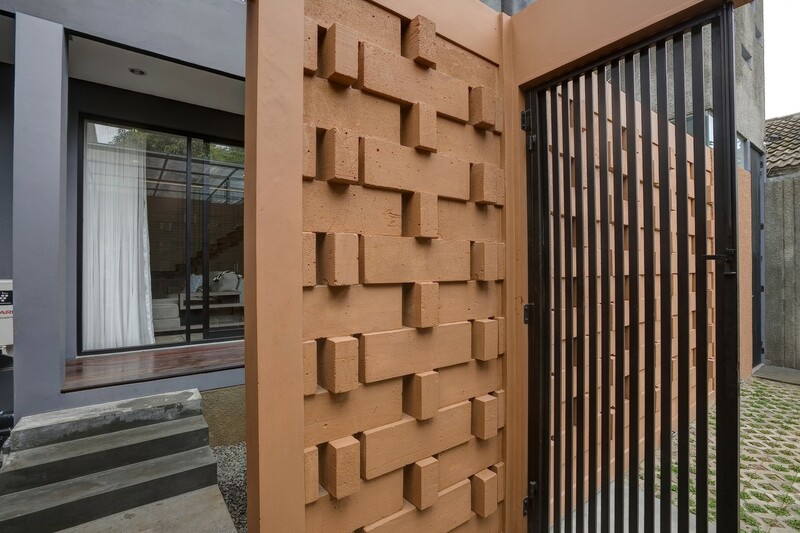 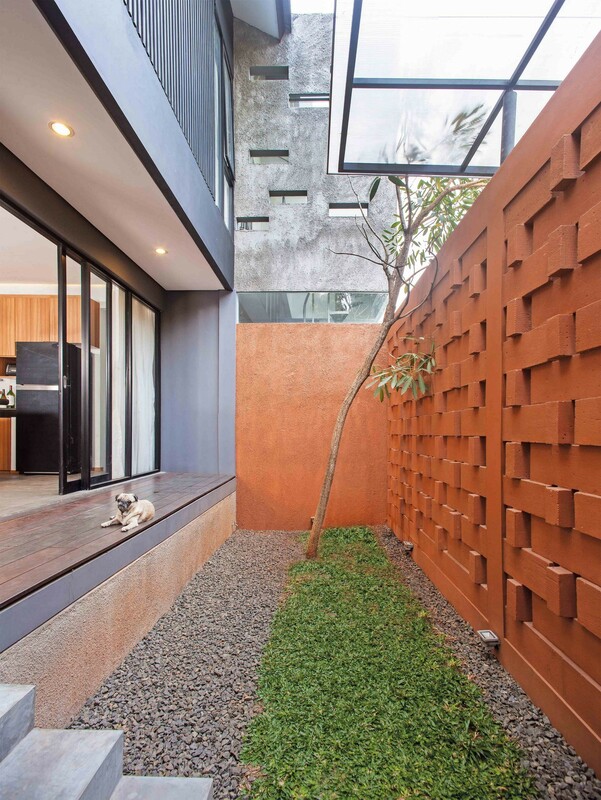 Raw Architecture’s Istakagrha (which means brick house) offers a fusion of natural materials, natural light, natural ventilation, and design with nature in mind. 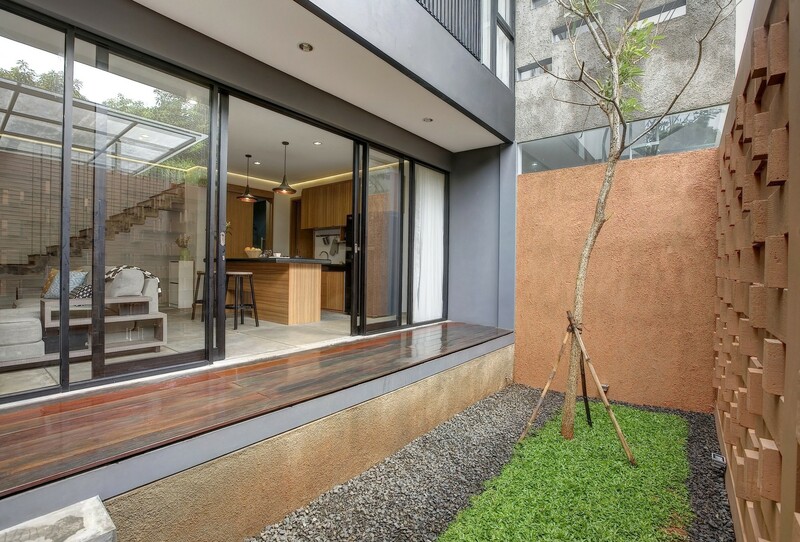 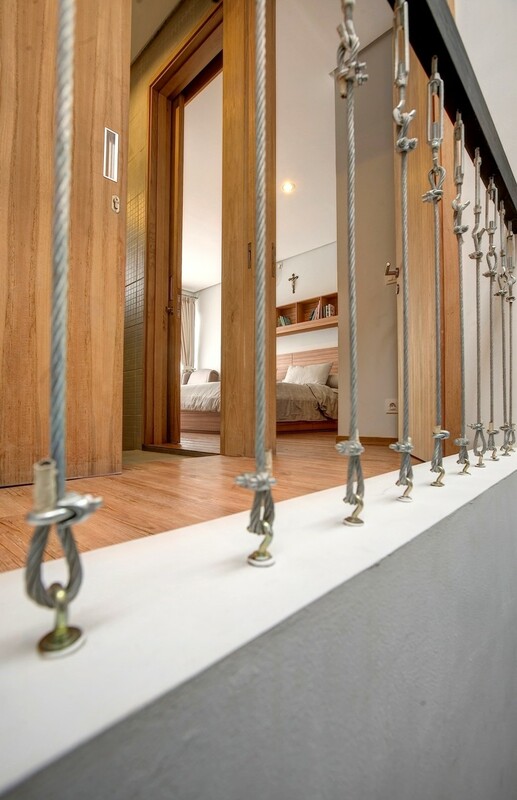 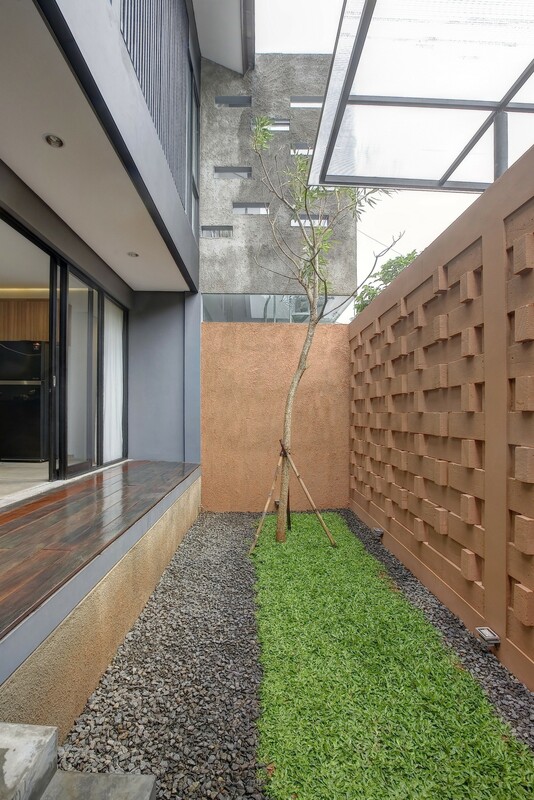 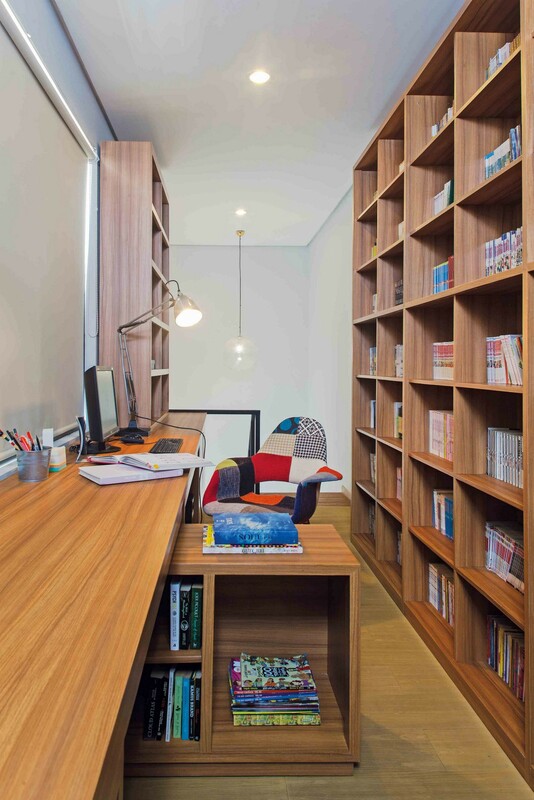 Located in Taman Meruya Ilir, West Jakarta region, the house stands at 180 sq m on a 150 sqm plot of land (10m x 15m). 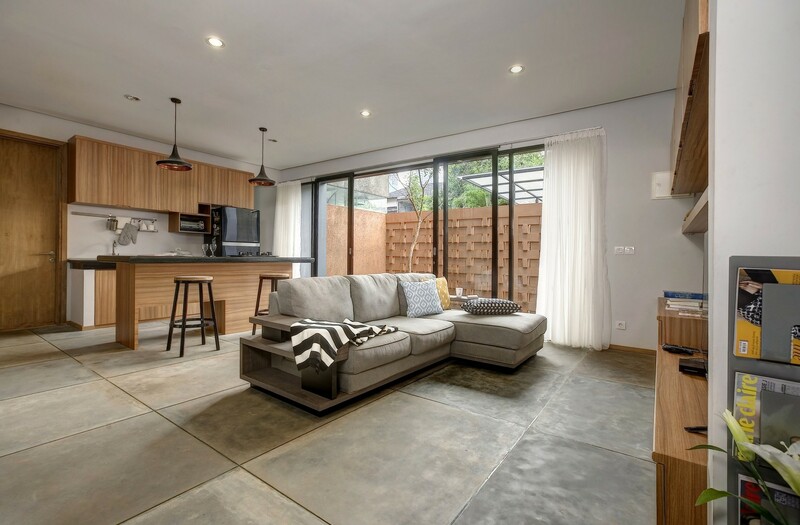 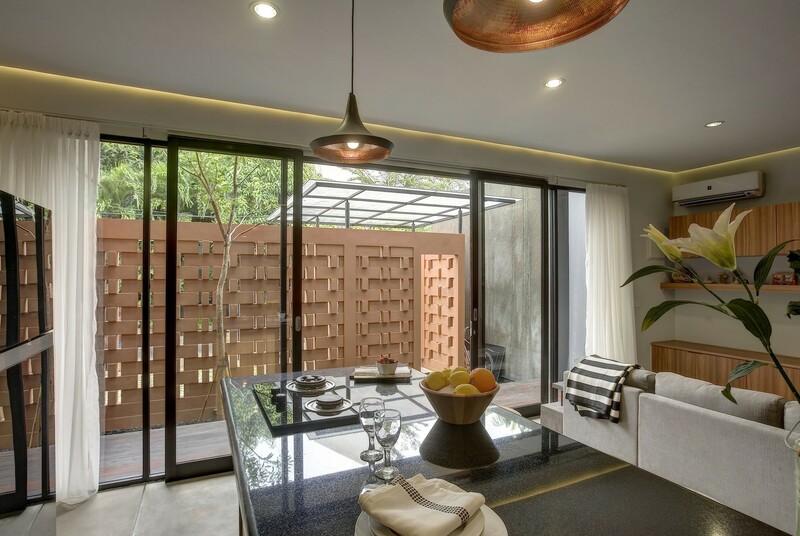 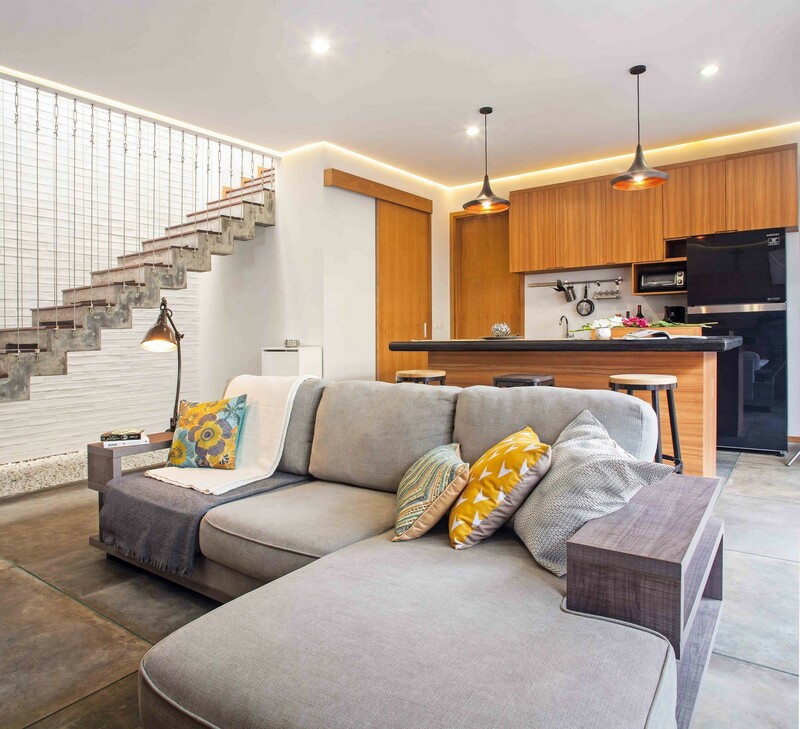 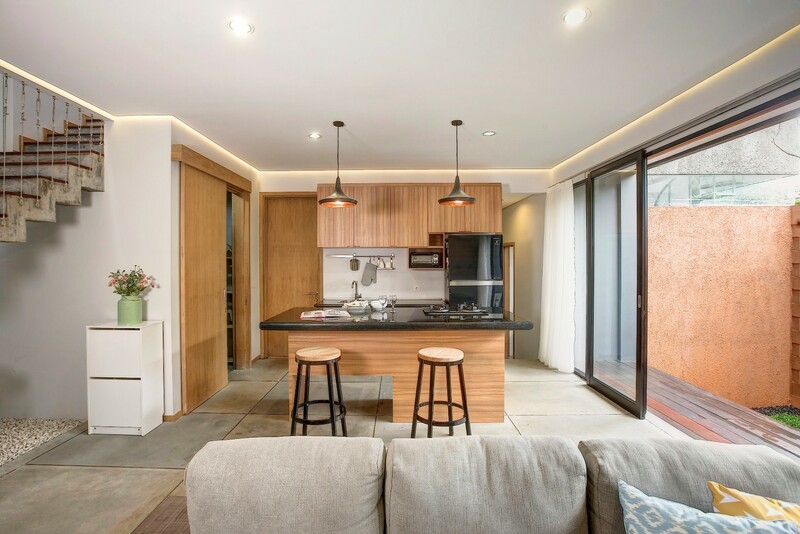 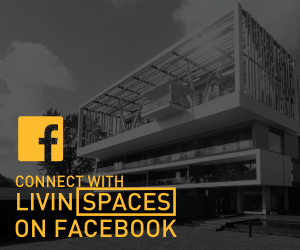 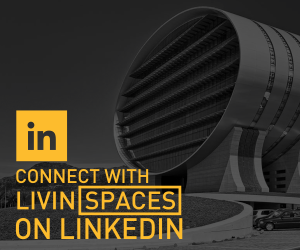 It is small, sustainable and compact with a conspicuous colour palette of orange and black colour matched with rough concrete texture finishes creating a humble yet distinctive look. 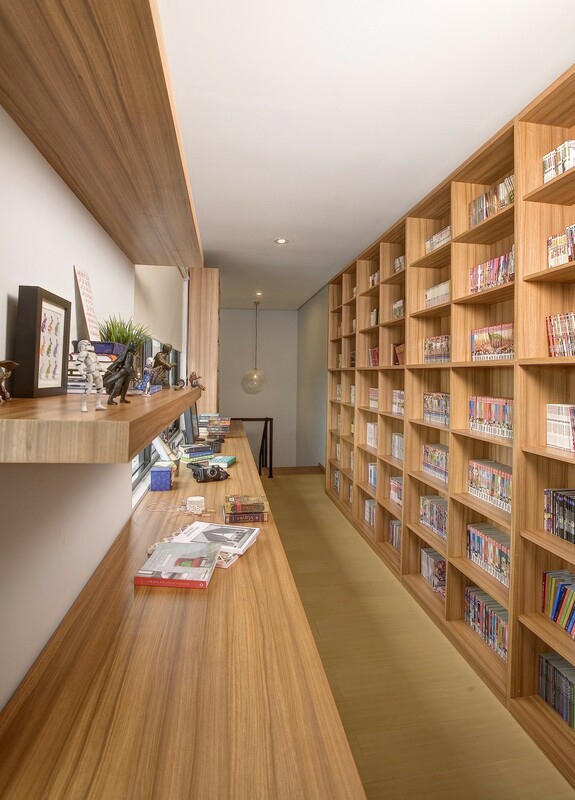 Mr. Ferdian Septiono and Ms. Joice Verawati Realrich Sjarief. 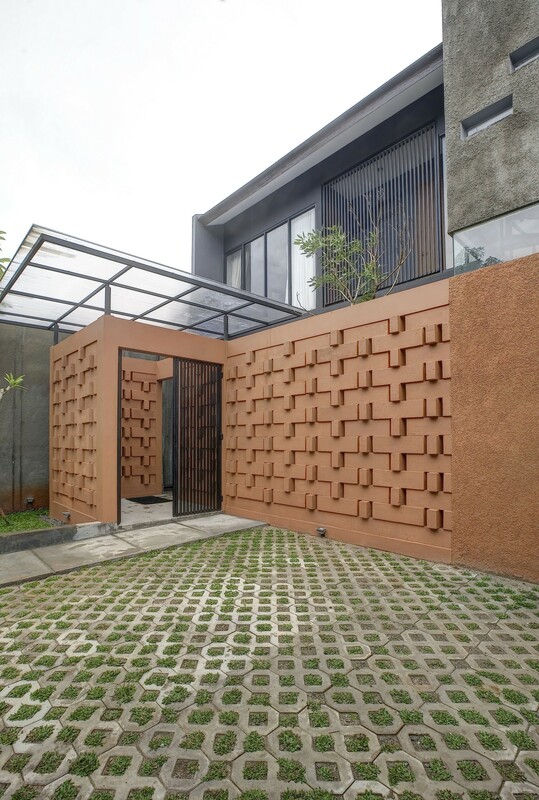 The architecture of istakagrha separated inside and outside with the landscape of a barrier wall made by light weight brick. 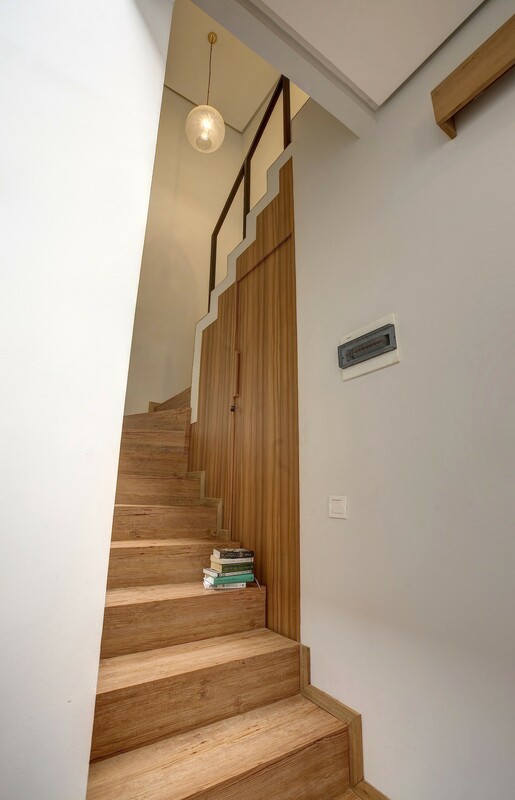 The combination is stacked with pattern of solid void, which provide sense of privacy and security, meanwhile allowing sunlight and air circulation to flow inside the living room. 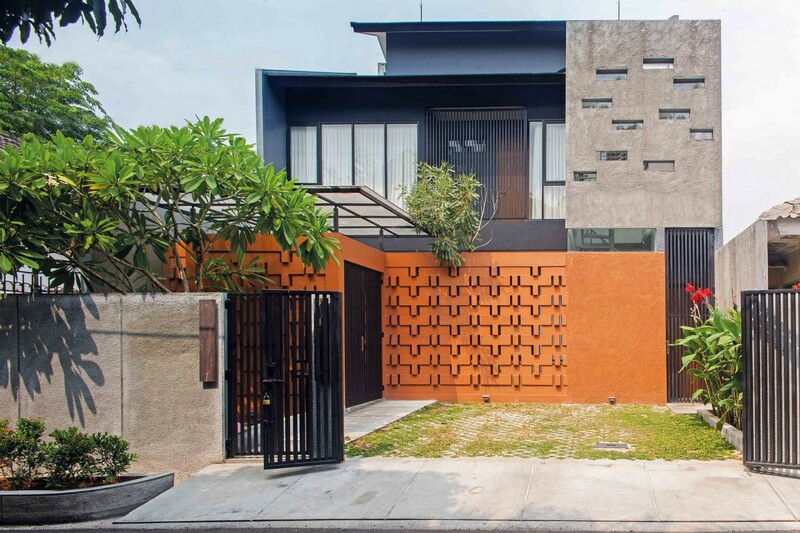 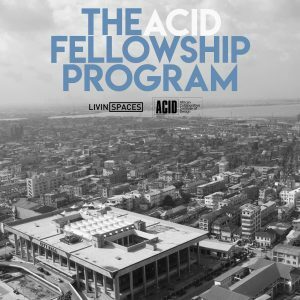 The house faces east side allowing morning sunlight come to the space. 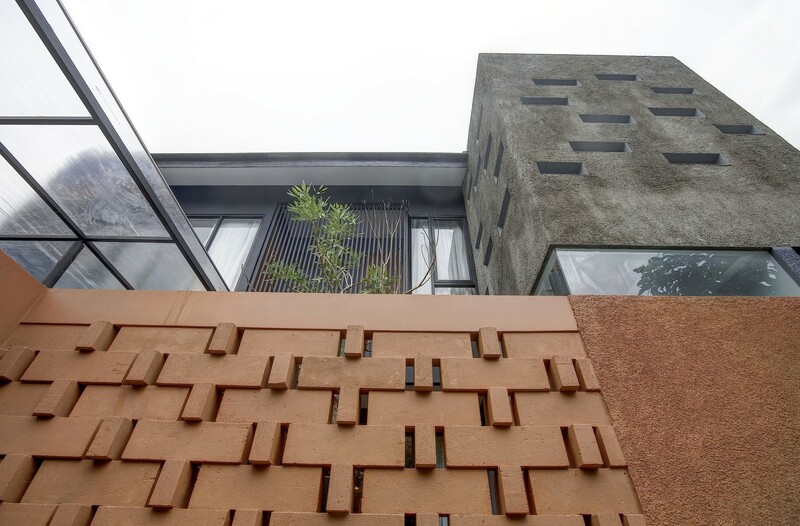 The stair is placed at the west side, the west side is walled with brick to provide thermal insulation. 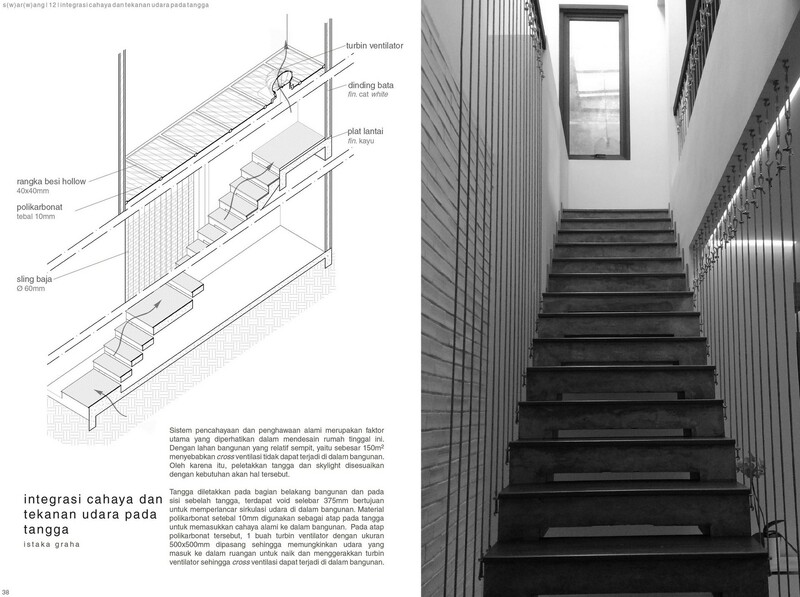 The air ventilator is placed at the west side of the house above the stair from ground to 1st floor providing fresh air circulation throught air stacking effect. 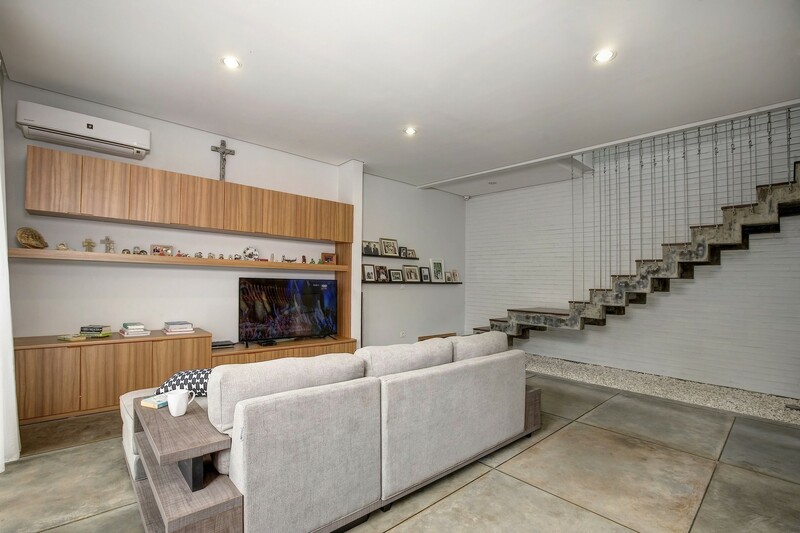 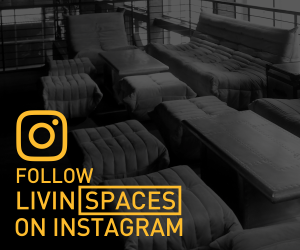 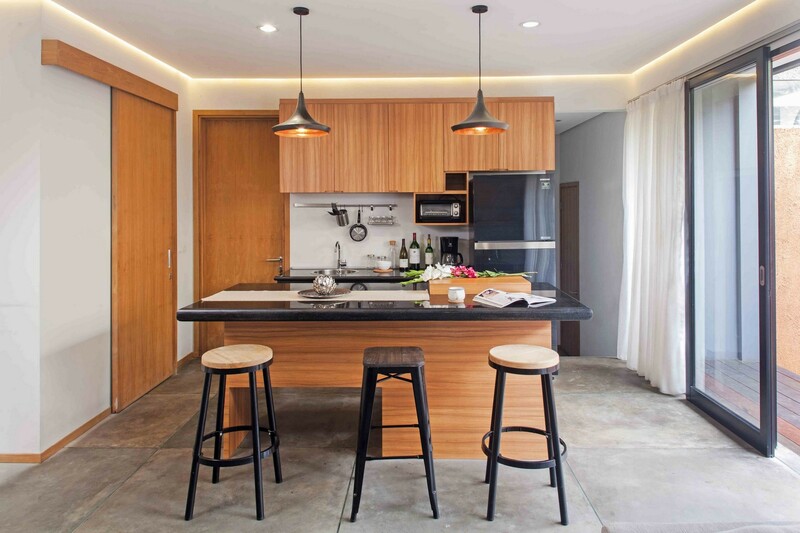 The house has one open air receiving area as anteroom then no more separation wall between living, dining, and cooking which In the living room, the kitchen also takes some importance its final layout is the result of few adjustments based on the owner’s domestic habits. 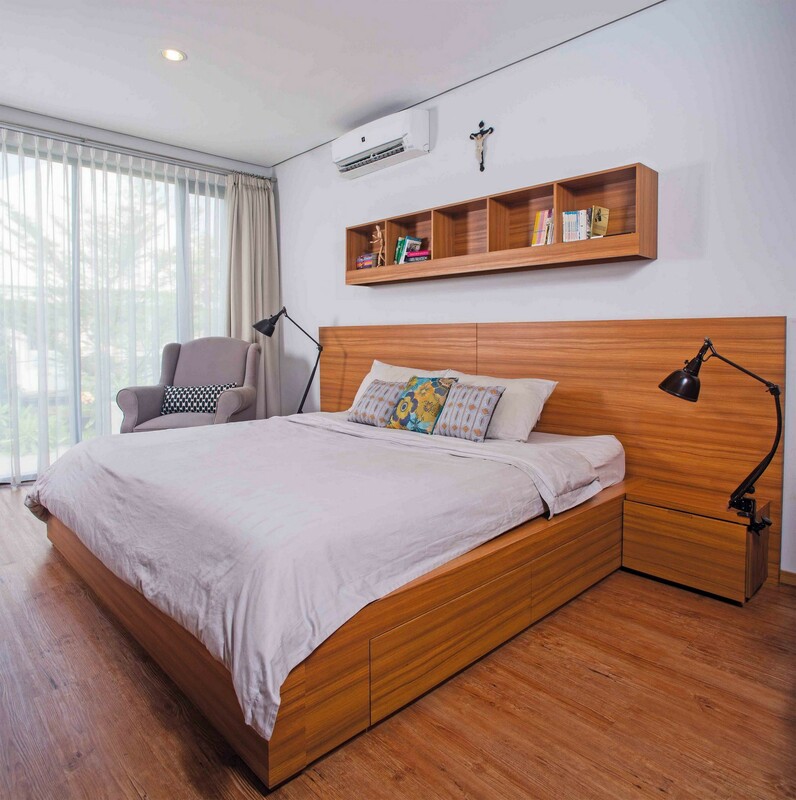 The only enclosed space in the ground floor is guest room, which doubles as a working space and guest bed room. 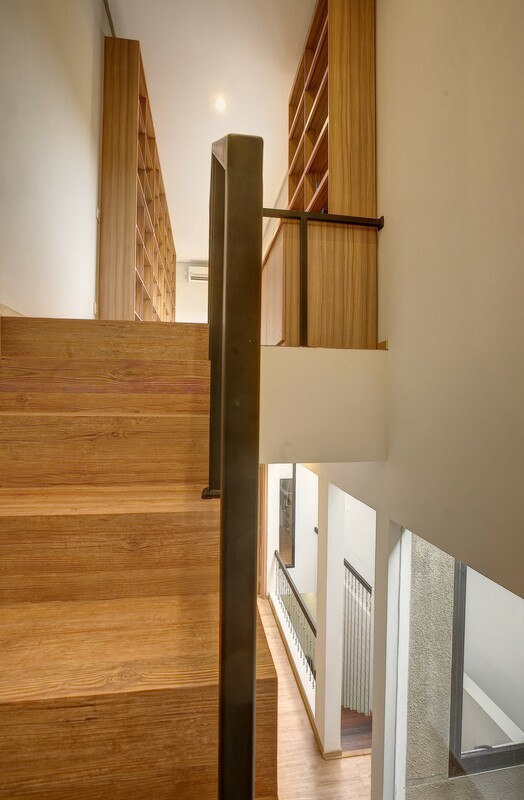 A simple foyer and a light well integrated with stair, and art work is placed after the receiving area at the west side of the building. 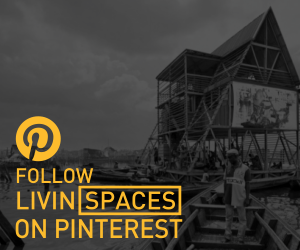 The first story houses private spaces. 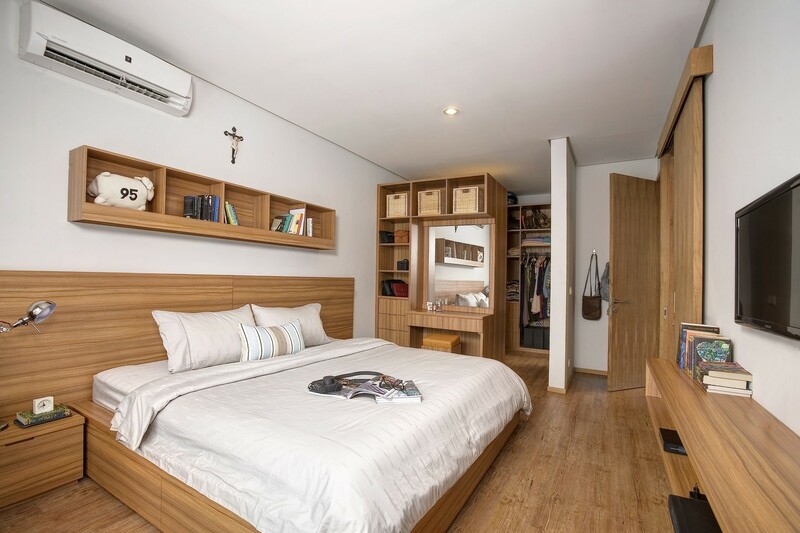 At the end of the corridor is 1 bedroom with shared bathroom and a walk-in closet. 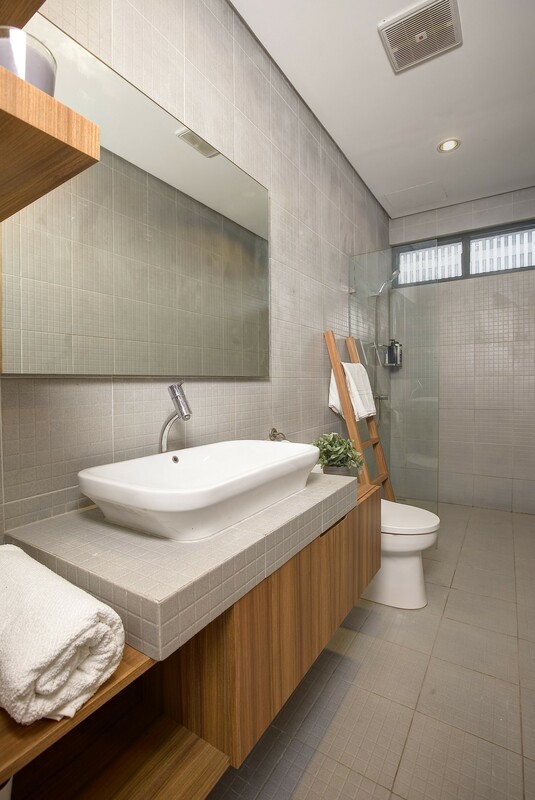 An simple and functional feel showering area is attached to the bathroom. 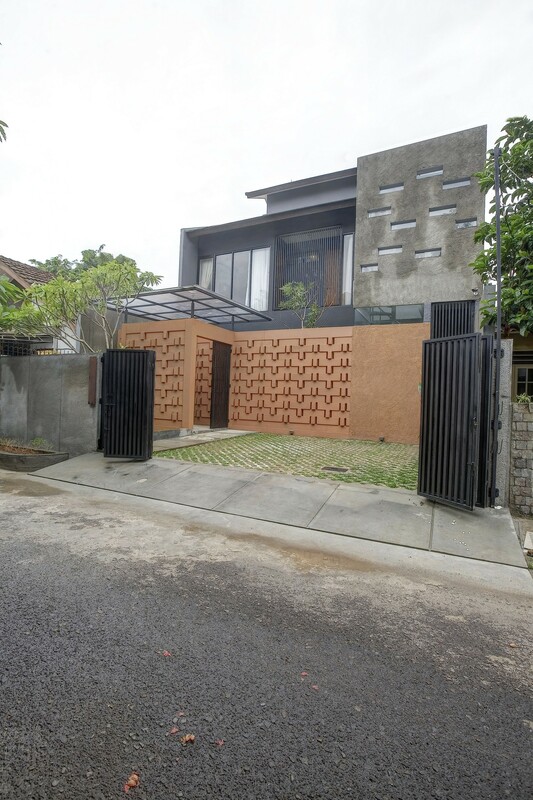 The material used in this building is choosed based on the best craftmenship available in Jakarta, concrete structure is used because of the cost efficiency, engineered wood is used because of the look and lightness, metal frame for facade and sunshading are used because of durability. 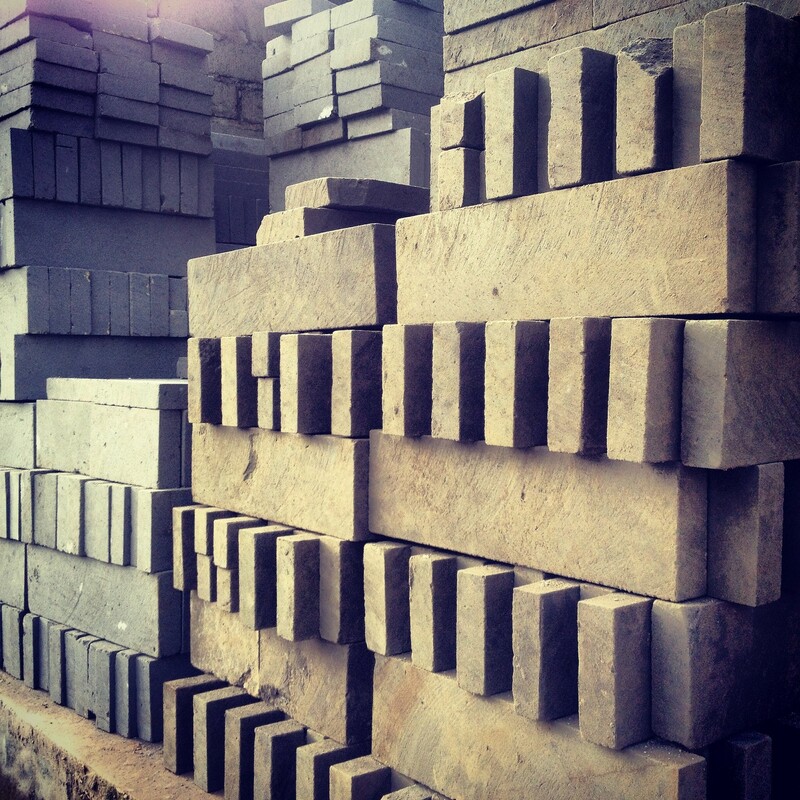 3 types of brick were used based on each character. 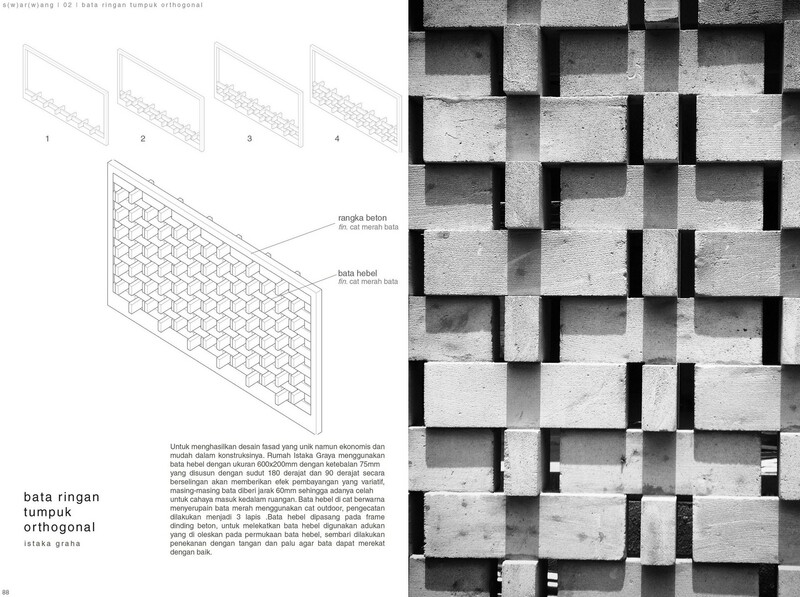 First, is light weight brick, 200 x 600 x 100 mm, for the facade. 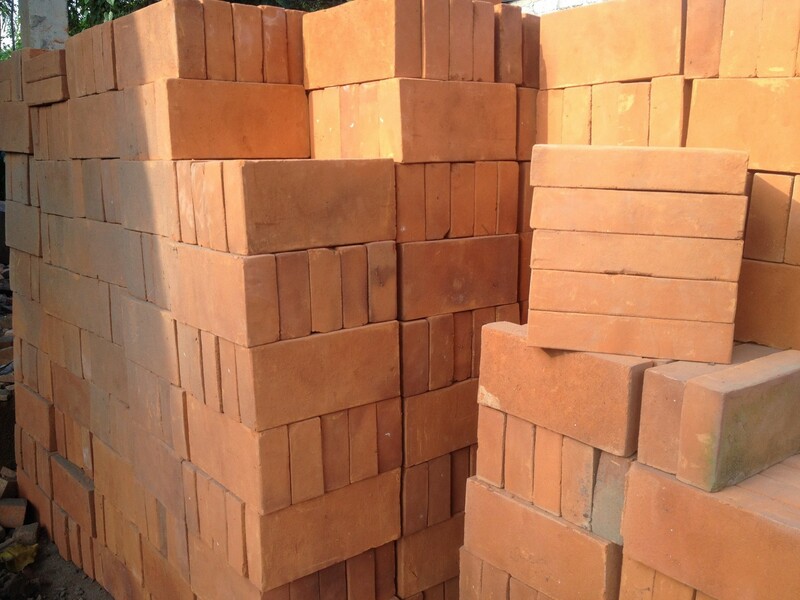 Light weight brick was chosed because of the lightness, precision and can be easily molded and constructed as facade/ Second, orange brick which is most common material used in Jakarta, The third one is the ceramic brick 50 mm x 150 mm x 10 mm which is used for covering the stair wall as insulation and interior surface. 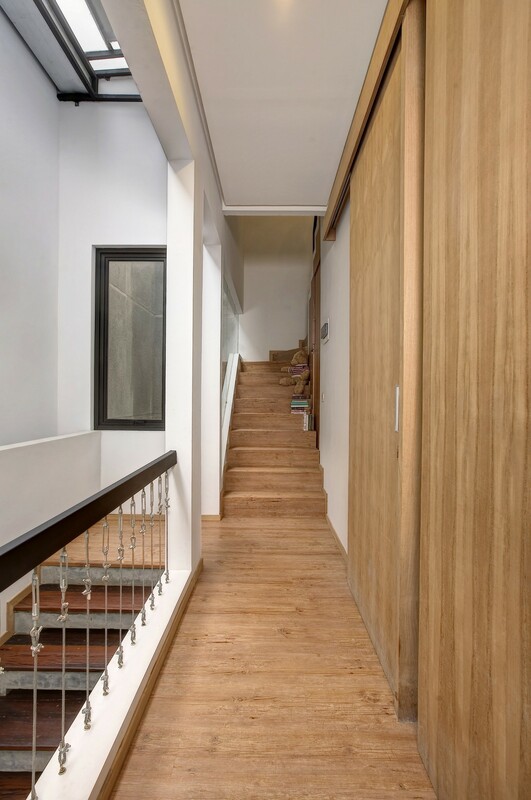 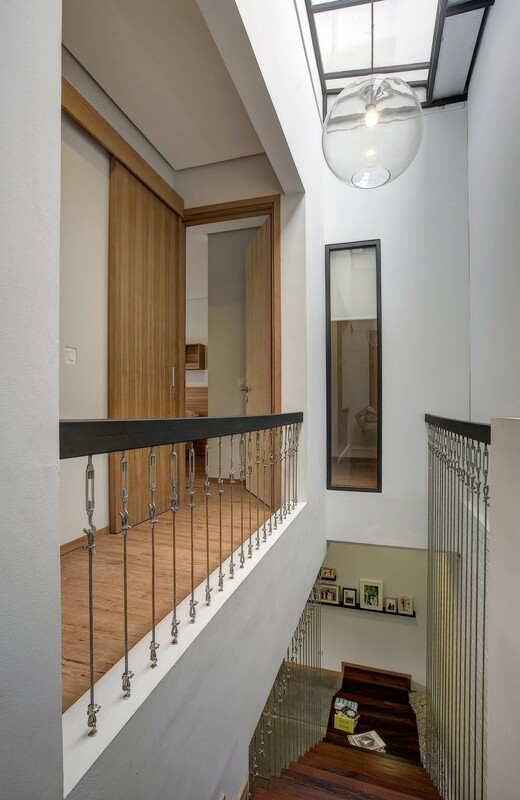 An additional bedroom, bathroom and a stair way to the attic on the 1st floor is linked by a corridor leading to an open space beside the void leading to the stairwell and stair case through compact space. 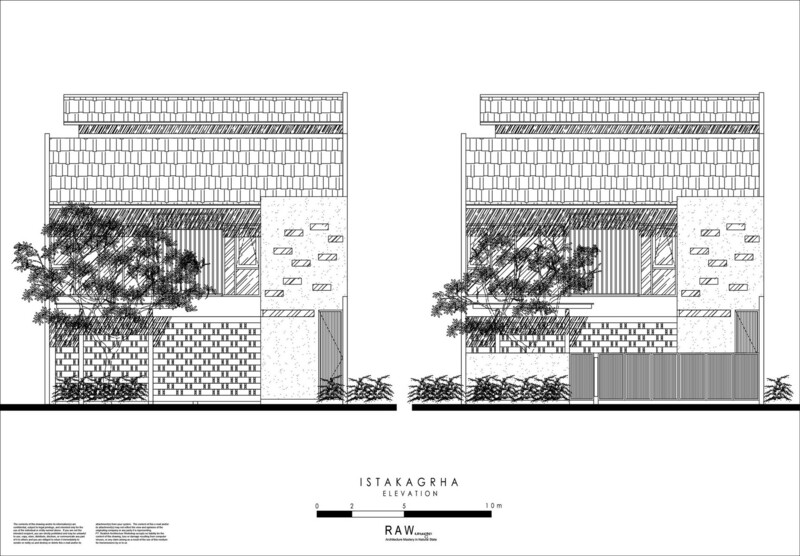 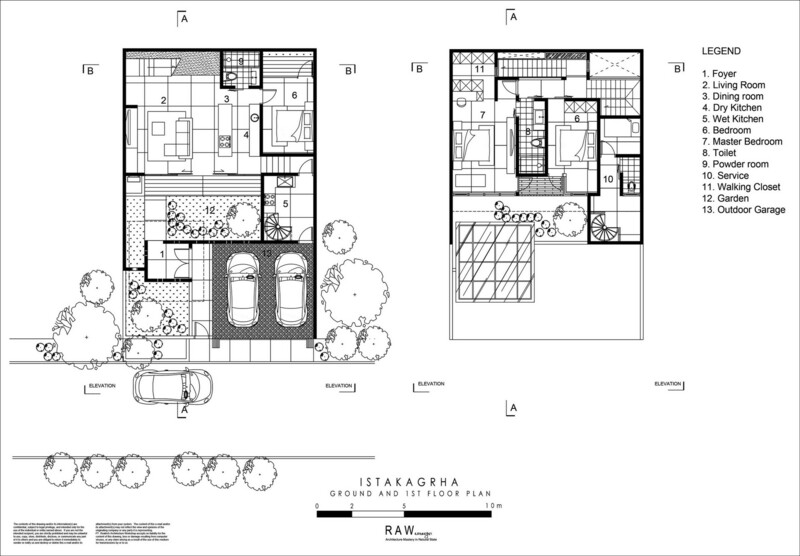 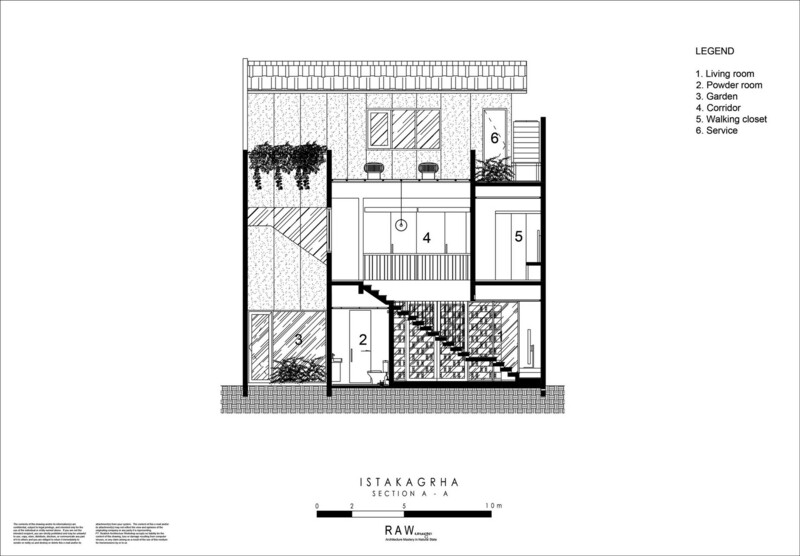 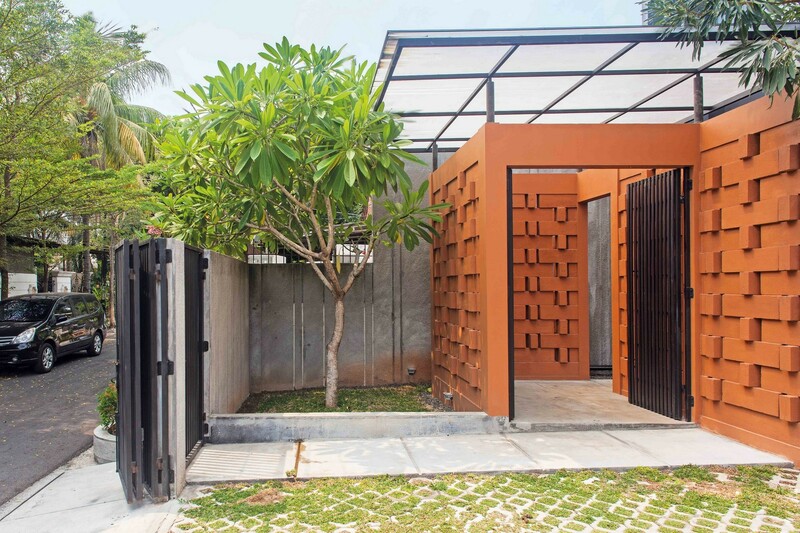 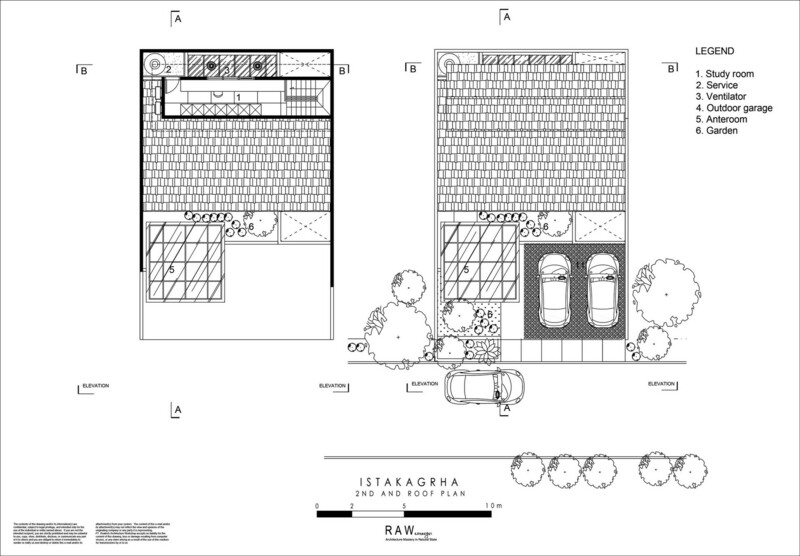 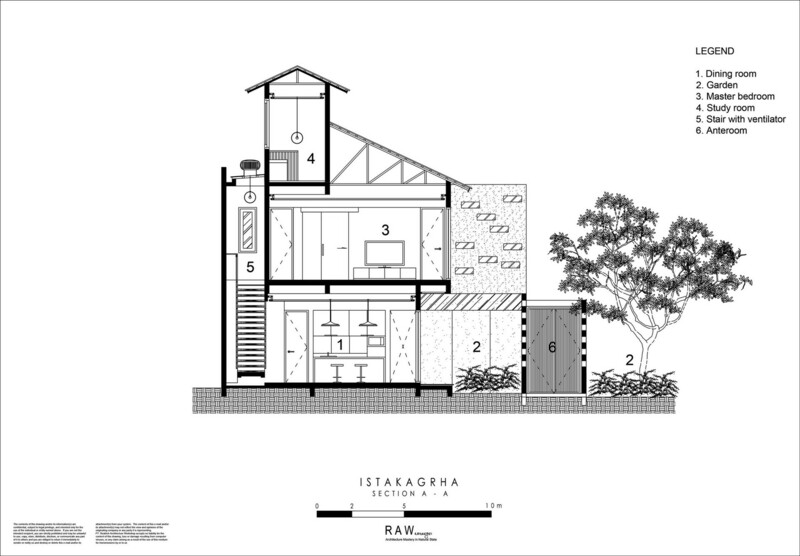 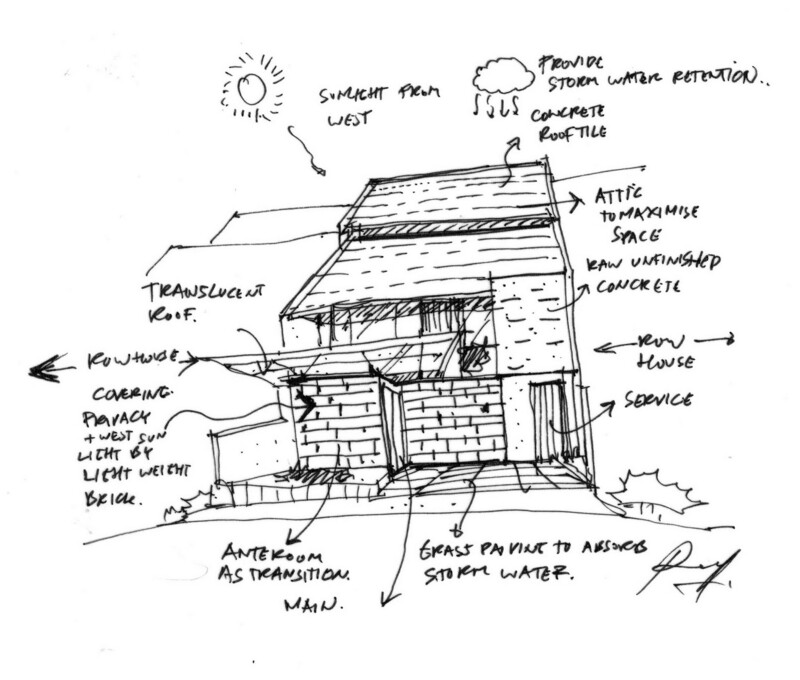 Istakagrha showed an example of small house in Jakarta with small plot of land with sustainable design approach and keeping privacy from out side to inside through simple form which is stacking brick.